The Padillac is just a smaller version of our Crazy Train (the board that John John Florence won the 2016 Eddie contest, Billy Kemper won the 2015 Jaws contest and Mark Healey won the Bilabong 2014 XXL Biggest Paddle Award on). Like the name implies, this board is built to paddle fast and easy, with extra thickness and a fuller outline than our standard guns so you can catch and ride bigger waves with confidence and ease. It has a clean, flowing rocker, and a light vee bottom with double concaves to give you speed and quick turning, while still maintaining control in heavy surf.. We recommend you go with the Quad option, and take this board out in almost anything the ocean throws at you. Made in sizes between 610 and 9'0. 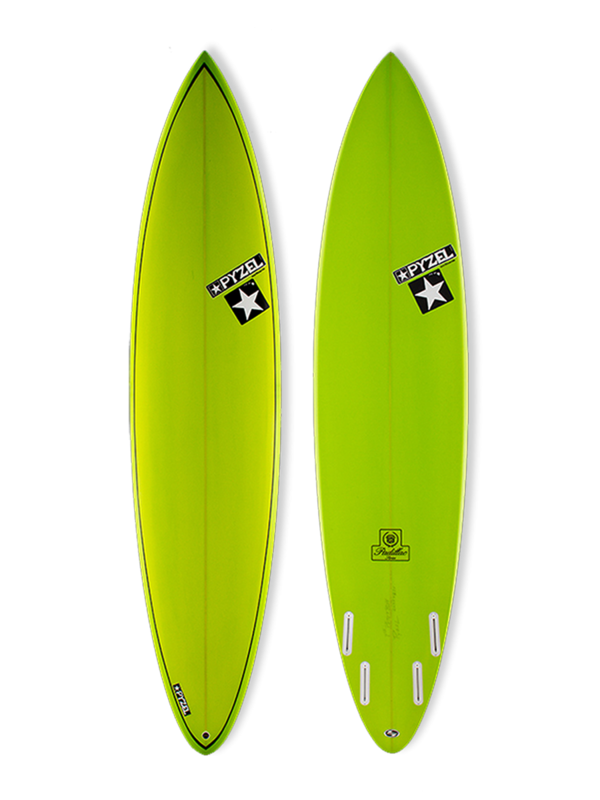 This is a great board for deeper water waves like Sunset, Cloudbreak, or Ocean Beach, it is also a good choice for bigger surfers for all different waves around the world.